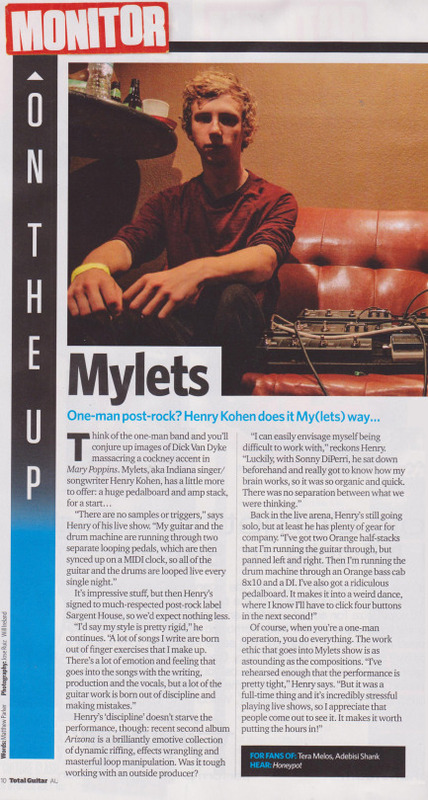 Mylets is featured in the new issue of Total Guitar. Don’t miss him on the Sargent House tour with And So I Watch You From Afar and Blis. this Fall. All dates and info here.